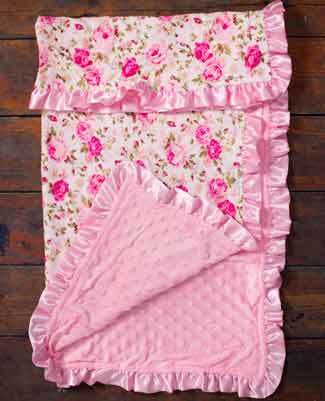 This beautiful blanket has soft solid pink side and a floral print on the other side. 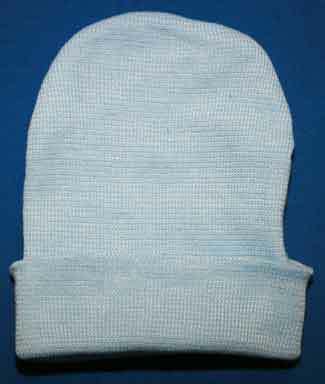 The dimensions are approx 80cm by 80cm. 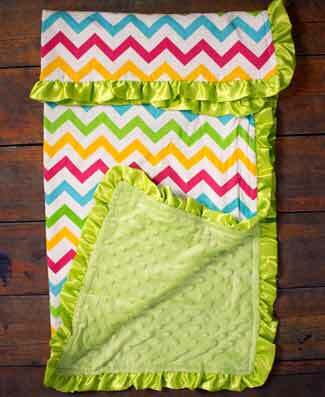 This beautiful blanket has soft solid pink side and a chevron print on the other side. The dimensions are approx 80cm by 80cm. 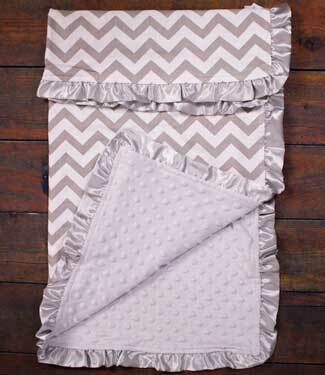 This beautiful blanket has soft solid grey side and a chevron print on the other side. The dimensions are approx 80cm by 80cm. 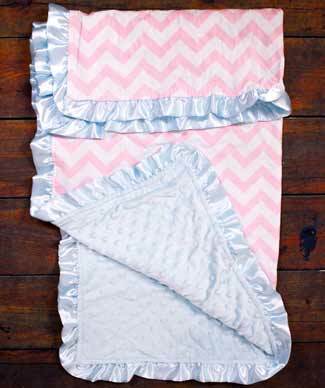 This beautiful blanket has soft solid blue side and a chevron print on the other side. 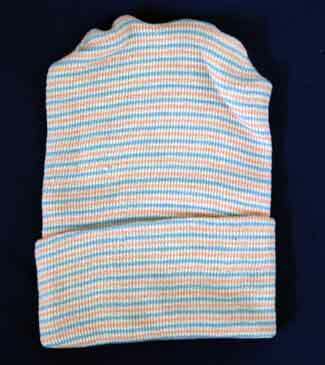 The dimensions are approx 80cm by 80cm. 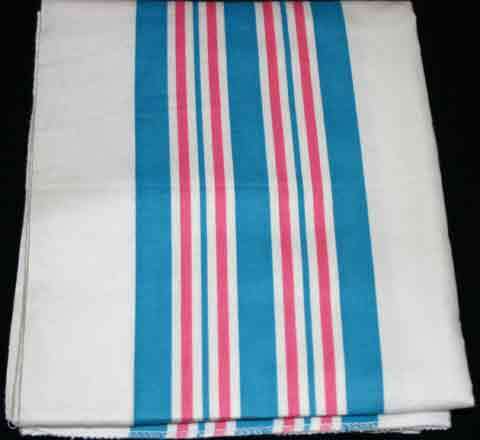 Genuine hospital receiving blanket! Used by hundreds of hospitals! 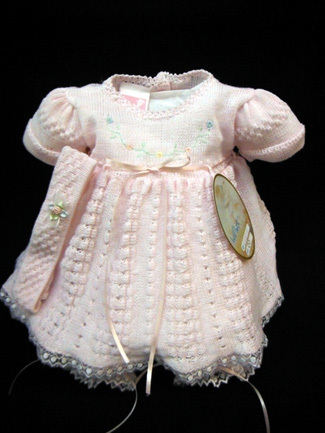 3pc sweet pink knit dress set. 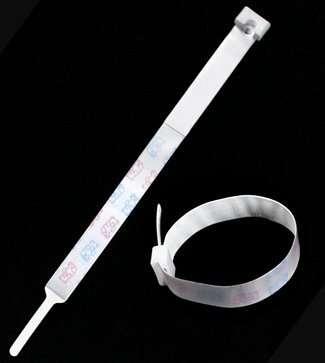 Has embroidered flower details, includes matching headband. 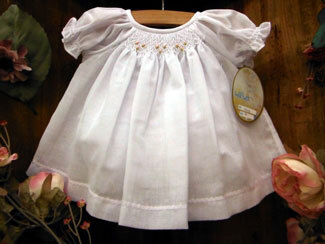 Sweet white with pink infant dress, has tiny pink embroidered flowers over smocked detail. Poly/Cotton. 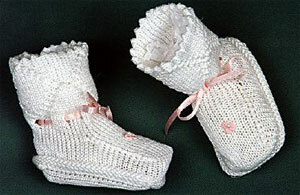 size 0-3 months. 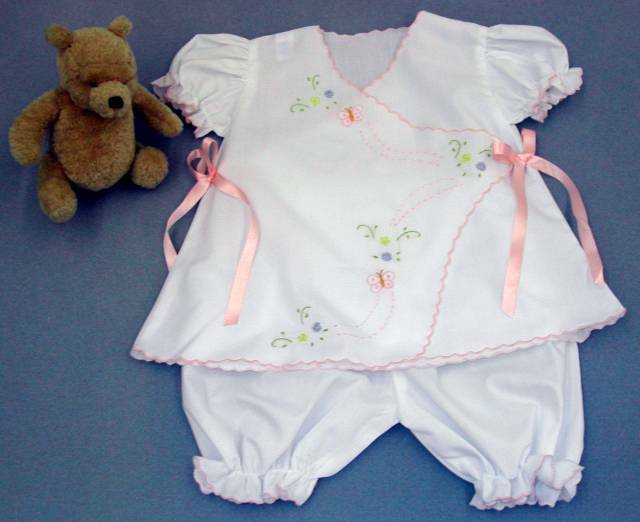 Delicate infant set has embroider butterflies with flower details, has pink scallop border trim with satin pink ribbon bows that ties to each side, includes white bloomers. Size newborn. 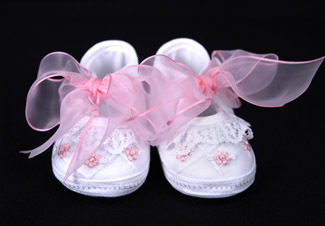 These lovely shoes have delicate flower and ribbon detail. 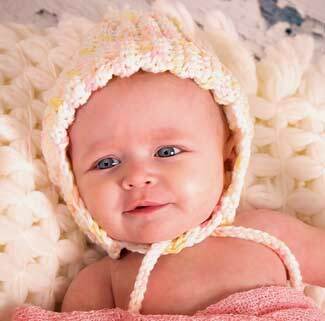 Size newborn to 3 months. 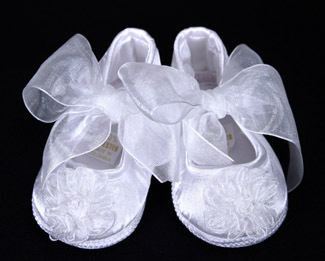 These lovely shoes have delicate embroider flowers as well as lace and ribbon detail. 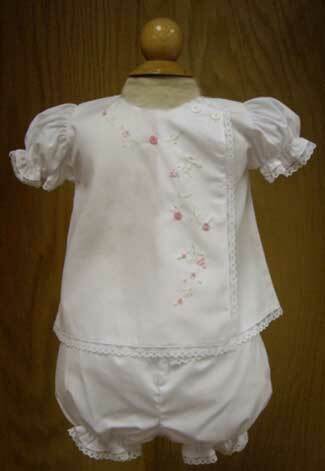 Sweet white diaper set has embroidered pink flowers, a touch of green embroidered leaves with delicate white lace border trim. 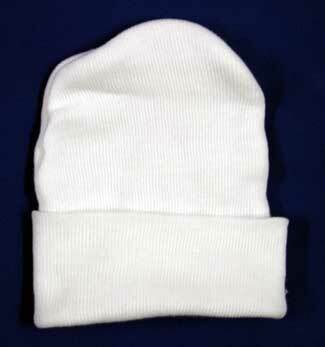 Poly/Cotton. Size newborn. 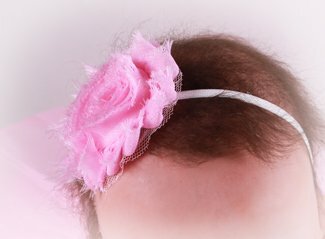 This beautiful shabby rose headband is ideal for reborn baby dolls. 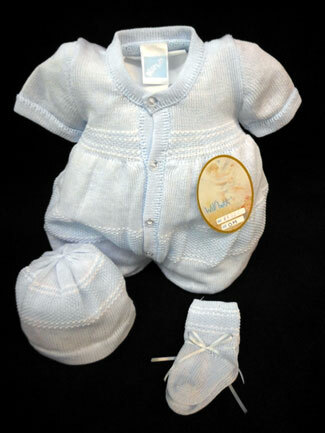 Not recommended for real babies since it may feel snug on a newborn. 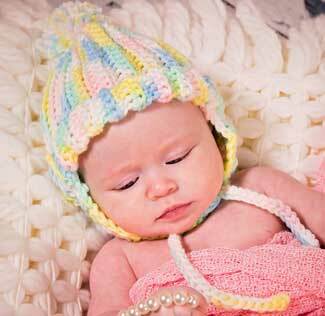 Available in light pink,lavender,lime green,black,blue and red floral. 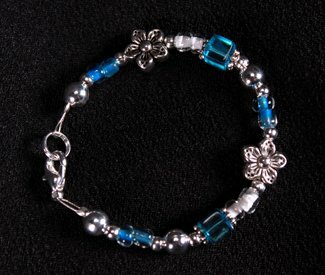 This gorgeous bracelet will fit approximately ages newborn to 4 years old, but will be rather loose on a newborn.